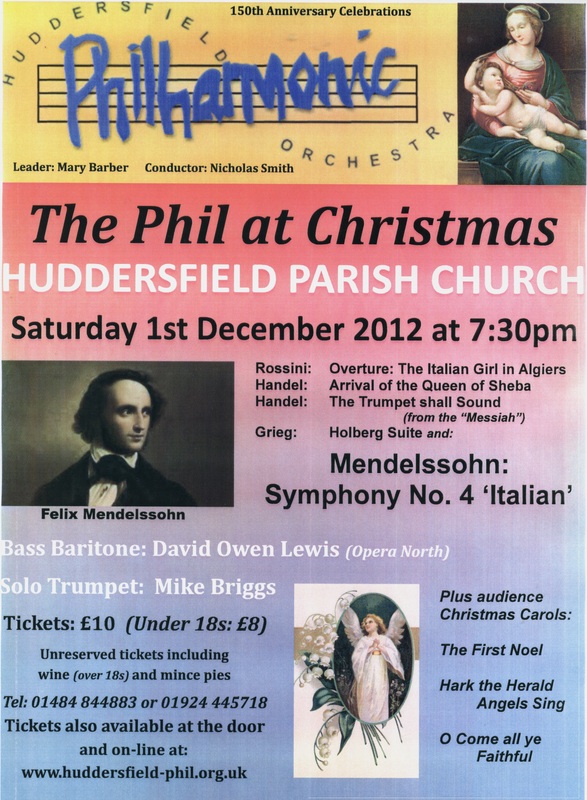 Saturday 1st December 2012 @ 7.30pm Huddersfield Parish Church welcomes the Huddersfield Philharmonic Society for a concert in the year they celebrate their 150 years as an orchestral group in the district. Previous Post Service of Light and Lantern Workshop. Next Post Wakefield Cathedral are Coming.